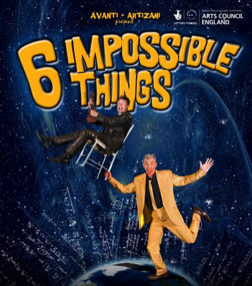 6 Impossible Things is a performance that unites film makers, sculptors, taxidermists and magicians in a comedy-theatrical-spectacular. Two experienced performers keep audiences guessing with an exceptional show which also stars the creations of this exceptional group of artists. Full of bizarre twists and turns they present a magic carpet ride to a topsy turvy world where nothing is as it seems. And, most marvellous of all, demonstrate that it’s the same old world that we wake up to day after day. Following her recent highly appreciated tour of Double Booked, actor-playwright Ginny Davis returns with another instalment in the Ruth Rich saga. Never far from the flood of chaos created by family and friends, mother of teenagers Ruth Rich relates an hilarious and satirical tale of the unexpected. 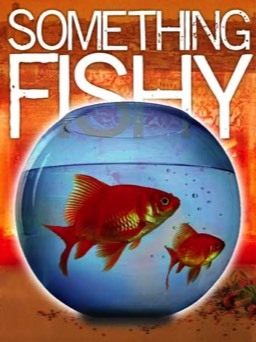 Forced by circumstances to accompany her son, his unruly friend and his friend’s mother to Marrakesh, Ruth leaves her teenage daughter at home alone with the goldfish whilst dotty Gran worries nearby. Ginny has earned herself two sell-out runs at the Edinburgh Fringe Festival and a reputation for delivering witty reflections on family life. 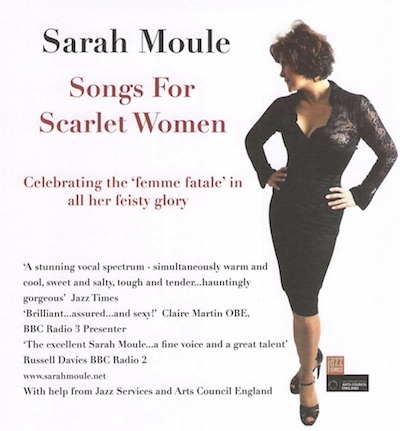 The talents of jazz-singer Sarah Moule were brought to Bottesford Village Hall on Sunday 5th October in her show, “Songs for Scarlet Women”. Sarah presented a 21st-century look at her favourite desirable and dangerous ladies in a cabaret show featuring songs by Fran Landesman and Simon Wallace, Cole Porter, Harold Arlen & Johnny Mercer, Jacques Prévert, Bob Dylan and Stephen Sondheim. Sarah was joined by pianist Jenny Carr to bring a sultry evening of sensual jazz and blues. The village hall was magically transformed into a cabaret club with table seating for the evening. The group Churchfitters was founded in 1978 by singer/songwriter Anthony McCartan from Belfast and multi-instrumentist Geoff Coombs from Essex. 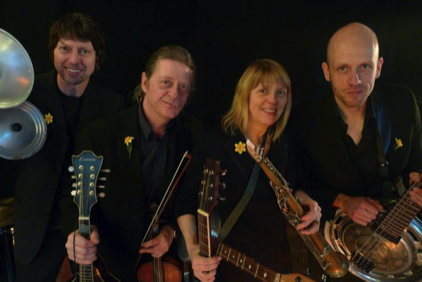 Rosie Short joined soon after its formation having previously been playing in a London-based traditional Irish outfit. During the years that followed, the group frequently changed its line-up making a point of always including members from diverse musical backgrounds in order to maintain a fresh and original approach to Irish music. They enjoyed great success on the East Anglian folk scene before slimming down to a duo (Anthony and Rosie) in order to tour extensively throughout Europe and even as far as Australia. A gripping tale of love, honour, duty, fortune-telling and murder! 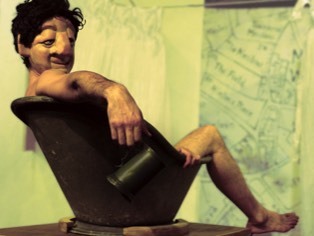 Rocket Theatre has created a wicked black comedy that positively fizzes with fun. LAUGH as Lord Arthur regales you with his astounding anecdotes! MARVEL at the versatility of his man-servant! GASP as his Lordship reveals dark secrets that will have you squirming in your seat! Dare you spend time in the company of Lord Arthur Savile? God, I love talented people. And I don't just mean oh-she's-quite-a-good-singer or oh-he's-quite-funny talented. I mean properly accomplished. 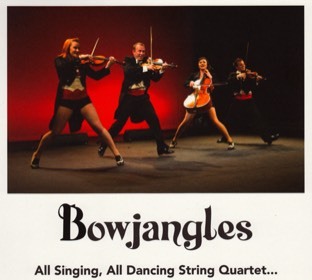 And this is exactly how I'd describe Bowjangles, the hyperactive string quartet behind 'Bowlympics'. Not only are they superb musicians but they combine this talent with tuneful singing voices and a surprising gift for physical comedy. The four have obviously worked hard to make their potentially-inaccessible art light and fun and they've pulled it off in spades. Mixing orchestral pieces as diverse as The Blue Danube and The Dambusters, the show follows the pattern of a good old-fashioned British sports broadcast, complete with 'messages' from the sponsors. Each event forms the backbone for a musical medley loosely based around it. Particular favourites for me were the superbly-choreographed tennis and fencing matches, backed by fast, spirited classics, the foursome clashing bows and plucking strings with wild abandon. The Honey Man tells the absorbing tale of an unlikely friendship that develops one summer between Misty, a 15 year-old girl, and The Honey Man, an 'ancient' afro-caribbean man who has taken up residence in a derelict cottage at the edge of the picture-postcard English village where she lives. It's a tale of growing up and growing old, of individual responsibility and shared history, of dying bees, healing herbs and (possibly) just a little magic.